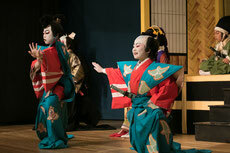 Plays that depict samurai in a pre-Edo period setting. Some of the stories were based on actual contemporary events but names and period settings were changed so as to avoid censorship by the Shogunate. 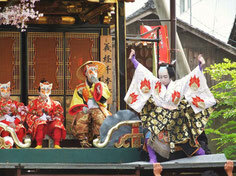 Plays that depict commoners (non-samurai) in contemporary Edo-period settings, such as tragic romances between young lovers. Quite a few sewamonos are about criminals and underground activities. 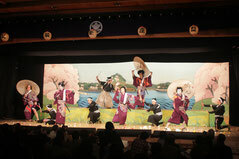 "Shiranami Gonin Otoko", a popular jikabuki program, falls into that category. Plays that have some storytelling aspects but largely feature dance and music.